REIKI (pronounced RAY-key) means universal life energy in Japanese. The Art of Reiki is a system of gentle vibrational healing that was established by Dr. Usui from Japan in the late 19th century and is becoming increasingly popular in the western world. Reiki can greatly improve your health and well-being by working on the physical, mental, emotional, and spiritual level at the same time. 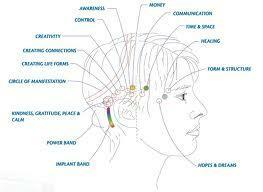 Reiki is offered in hospitals and private practices around the world. During a session, the Reiki energy flows wherever it is needed , from the hands of the practioner into the client, creating a sense of peace, relaxation and harmony in the receiver. When all the chakra’s are whirling, lit up or open, bright and clean, then our chakra system is balanced. When a chakra becomes blocked, damaged, or muddied with residual energy, or plaque then our physical and emotional health can be affected. This can occur as the result of negative or incomplete belief systems. The effects of our habits, feelings, beliefs, thoughts, fears and desires can be found in our chakra. The way we eat and exercise how we deal with our emotions will be imprinted on our energy bodies. Clearing your chakra is very beneficial for your body, mind, and spirit. It helps the aura’s energy to stay as pure as possible and can increase intuitive ability. The Bars are the foundation of all of Access and were the first tool developed by Gary Douglas almost 20 years ago. Running the Bars is a simple, non-invasive, energy process where the facilitator lightly touches each point on the head to release the energy. Receiving this process, i.e. “having your Bars run,” usually leaves you with a sense of peace and space and a feeling like there is more possibility open to you. This is an incredibly dynamic process that will not only leave you feeling refreshed and relaxed as if you have had a deep restful sleep or a really great massage, but it can also change your life.